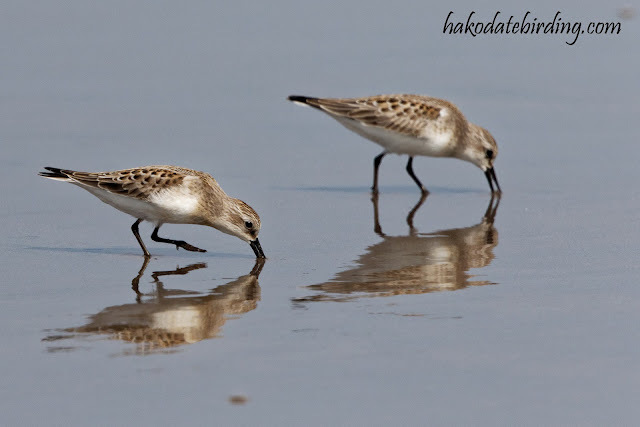 Here is part of a small Red-necked Stint flock at Oshamanbe. Other stuff around Oshamanbe included Eastern Marsh Harrier but not much else. Waders were thin on the ground. At Yakumo on Sunday there were 3 Grey-tailed Tattler, 1 Black-tailed Godwit and 1 Common Sandpiper only. Some passage ducks in eclipse plumage were around and in 1 tight flock I think I had a couple of Garganey among the Common Teal. 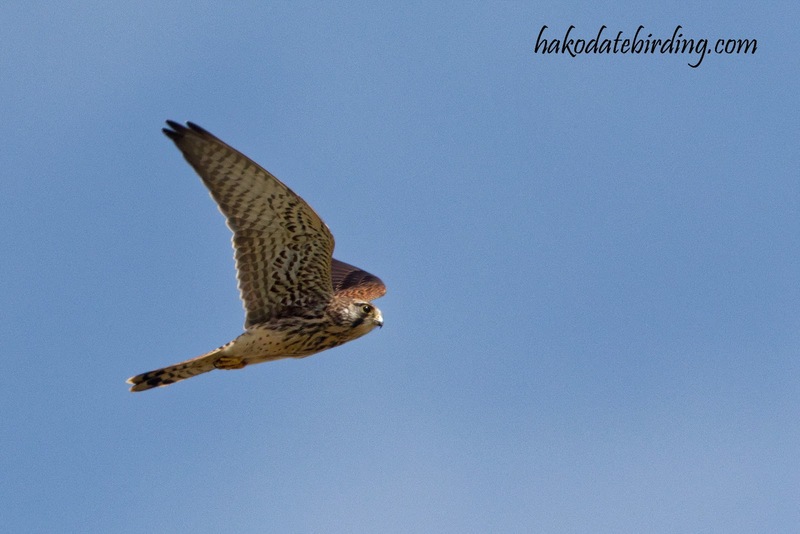 Not much else at Yakumo though: Japanese Green Pigeon, Great Egret, Osprey and this lone Kestrel. 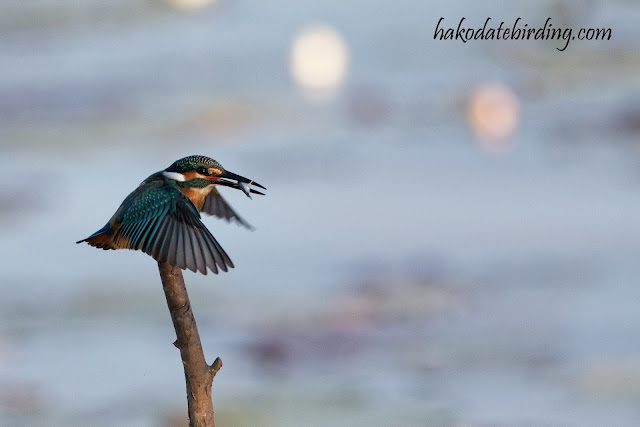 A crappy record shot but this is a species I don't often see in Hokkaido and rarely photograph. 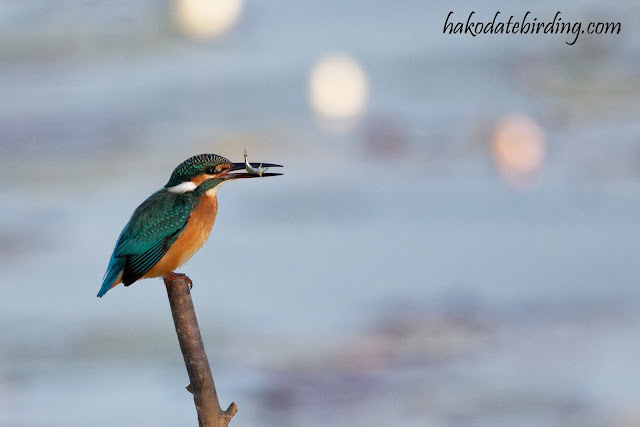 At Onuma there was another Kingfisher although not as close as the previous post's bird at a different location. Sunday and Monday were pretty birdless. 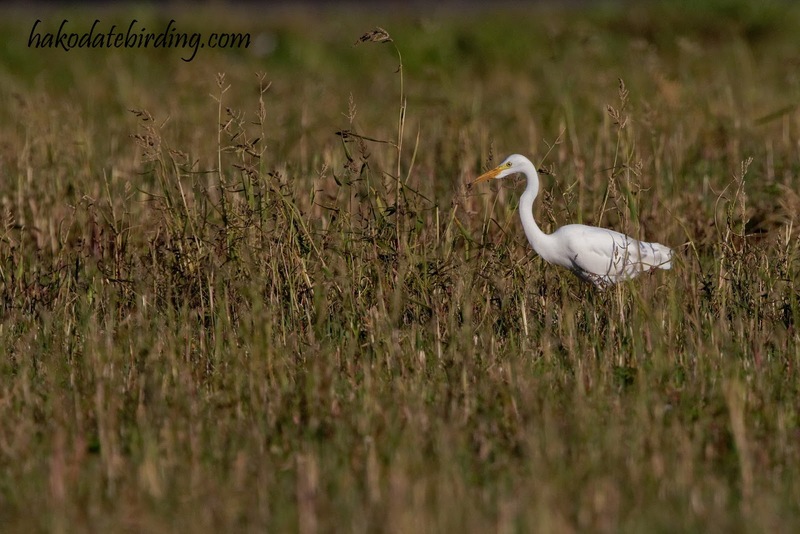 An Eastern Marsh Harrier in the local ricefields was a local tick. The rivermouth in Kamiiso had nothing of note except some Goosander and lots of Cormorants (both large species). No waders at all. 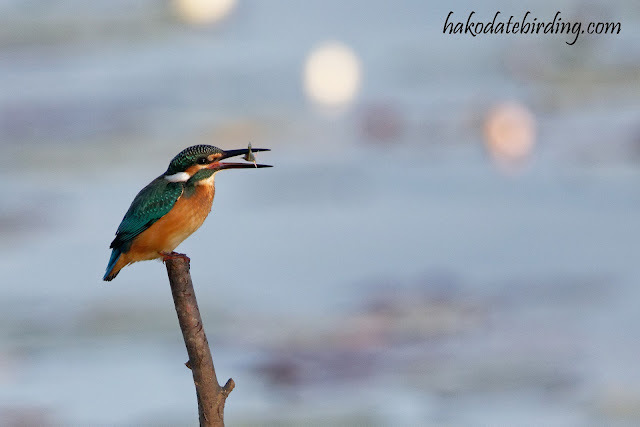 The Crested Kingfishers were around but too shy for any photos. There are some good species there Stu. I'd settle for a few of them as Greece is too hot and clear at the moment.